From artisan gin tasting adventures to afternoon tea among the flowers, we’ve discovered some of the best places to enjoy a foodie day out in Britain this Summer. The Bombay Sapphire Gin Distillery is located at the historic Laverstoke Mill on the banks of the River Test. It has opened its doors to gin-lovers offering them gin discovery experiences and tours in a stunning natural setting. Chatsworth, the 35,000 acre Derbyshire estate that is the ancestral home of the Duke of Devonshire, offers a splendid day out. For Foodie Gardeners, there’s lots of inspiration to be found walking around Chatsworth House gardens. At the western end of the Chilterns and on the eastern slopes of the Thames valley, there’s a village located in an Area of Outstanding Natural Beauty which is famous for its historic watercress beds. On an idyllic farm in the North Cotswolds surrounded by beautiful Warwickshire countryside, exciting things are happening with gin and whisky at this state-of-the-art boutique distillery. 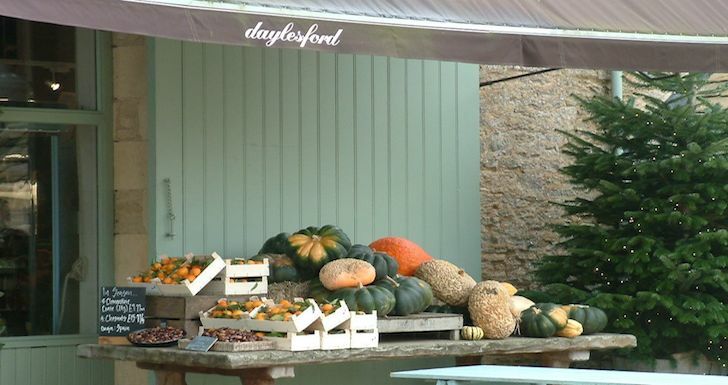 Loved by celebrities such as Kate Moss and Elizabeth Hurley, Daylesford Organic Farm is where to do ‘Chic Country Foodie’. It’s utterly stylish and offers a smorgasbord for foodies to enjoy. Perfect your cooking skills at the Cookery School, buy organic produce in the Farm Shop or take the kids on the farm tour. Home of the nation’s favourite farmer, Adam Henson’s farm park in the Cotswolds will already be familiar to regular viewers of the BBC’s Countryfile programme. Food lovers and history buffs flock to the grounds of historic Hampton Court Palace over the August Bank Holiday weekend for a tasting extravaganza. This year’s chef line-up at the food and drink festival includes appearances from big name chefs such as Michel Roux Jr, Bake Off winner Nadiya Hussein, and Kenny Tutt, MasterChef winner 2018. 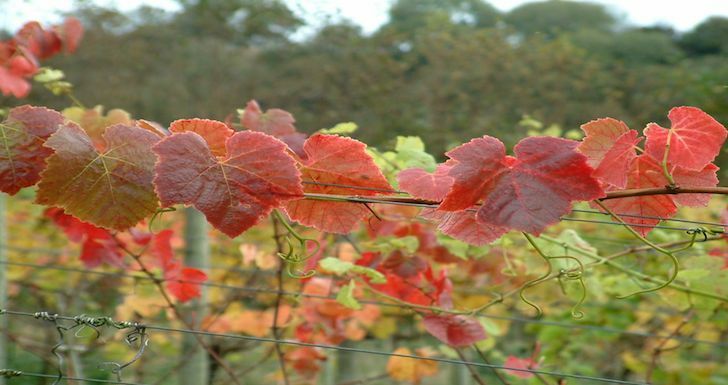 Take the Chapel Down vineyard tour in Kent to find out what makes it ‘the home of English wine’. 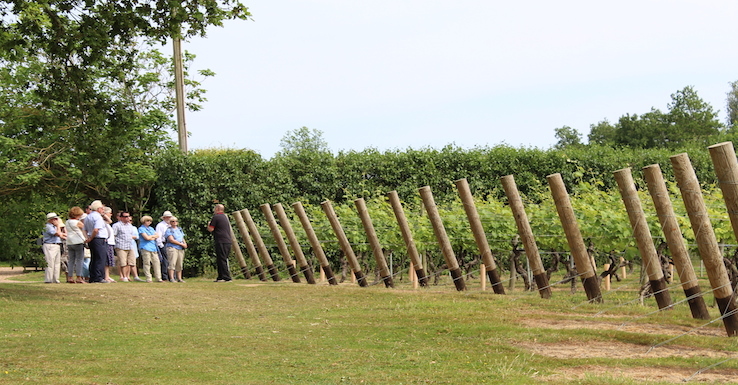 It’s the largest English wine producer with over a million bottles labelled with its clever logo each year. Perch Hill, the home of Sarah Raven, one of Britain’s best known gardening and food writers, offers a taste of gourmet gardening in deepest Sussex. Visit on an Open Day to see it in its full glory or book a gardening or cookery course. The seaside town of Whitstable really comes alive each summer for its annual Oyster Festival in July. It’s a key date for foodies in Britain who come to enjoy the town’s party atmosphere all in homage to the world famous Whitstable oyster. 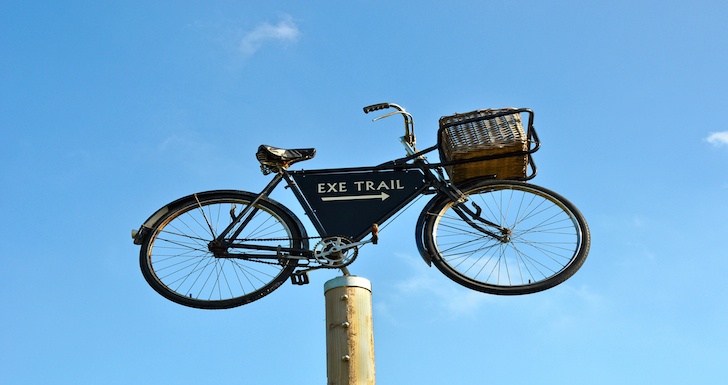 Tracing the Exe Valley from Dawlish to Exmouth, this 17.5 mile long estuary trail is fairly flat. It presents plentiful opportunities to stop off at cafés, pubs, vineyards and the renowned Darts Farm as you pedal your way along the estuary soaking up the view and working up an appetite. From its origins as a pick-your-own farm in the 1950s, Darts Farm in Devon has been on an incredible journey. It’s a great place to both eat and shop but also offers you the chance to get closer to nature through bird-watching, fishing, exploring the farm on foot or cycling the nearby Exe trail. One of only a handful of gardens in the UK to be given organic status by the Soil Association, the Yeo Valley Organic Garden at Holt Farm is a little Somerset gem. Visit for an afternoon stroll followed by tea on the terrace. Battlefield 1403 Farm Shop is situated a few miles north of the medieval market town of Shrewsbury on the site of one of Britain’s bloodiest battles. Part of the Albrighton Estate, ‘Battlefield 1403’ houses a butchery, delicatessen, café and Battlefield exhibition. Set in the heart of the Conwy Valley overlooking the mountains of Snowdonia, is the multi award-winning Bodnant Welsh Food Centre. 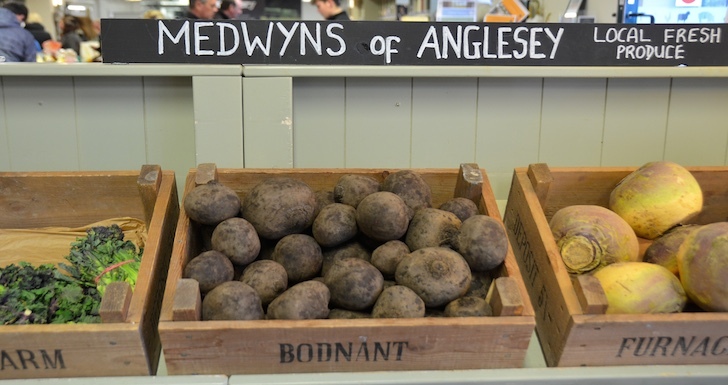 With three quarters of its stock being of purely Welsh origin, it’s one of the best places to gain an authentic taste of Wales. Portmeirion is where North Wales meets the Italian Riviera. Perched between the majestic mountains of Snowdonia and overlooking the picturesque Dwyryd Estuary, this iconic fantasy Italianate village is a must for any Foodie Traveller. On the edge of the Lancashire coast, not far from the historic seafaring port of Liverpool, lies the National Trust’s newly developed Asparagus Walking Trail. Stretch your legs, fill your lungs with salty sea air and discover more about the once highly-coveted Formby asparagus. Fancy a day out at a food festival? Take a look at our pick of the best food and drink festivals taking place across the UK in August.